Expiration volume clouded Friday's selling but there wasn't a whole lot to report on the end-of-week close. 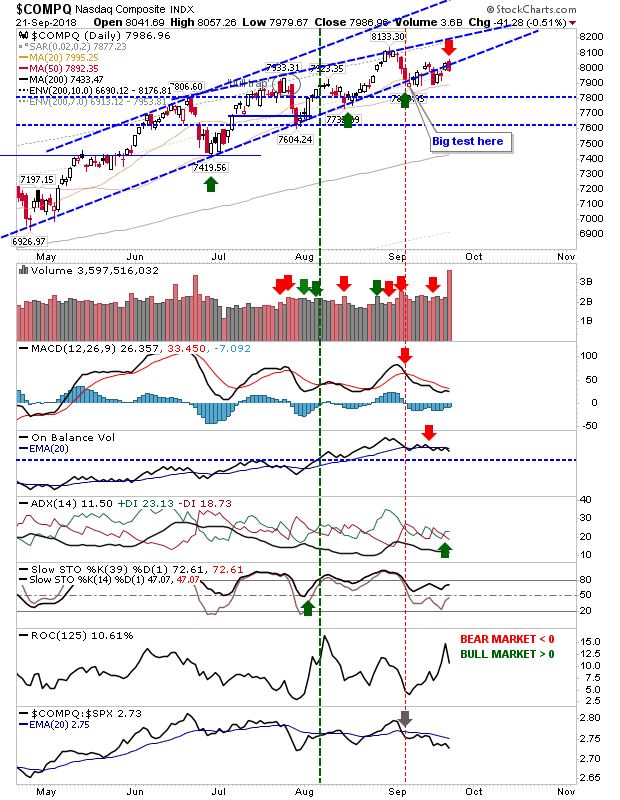 Last week's surge in the Dow came to a halt with Friday's doji; a doji at resistance would offer a shorting opportunity but it didn't make it there (channel resistance). 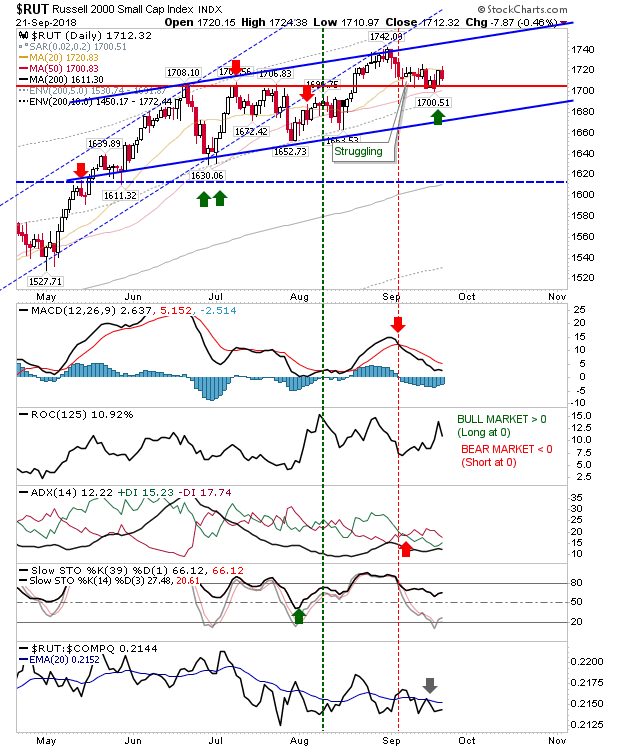 Technicals are all positive and aren't showing any negative divergence - another reason to be cautious. This is a watch-and-wait, a move to channel resistance still looks favored. 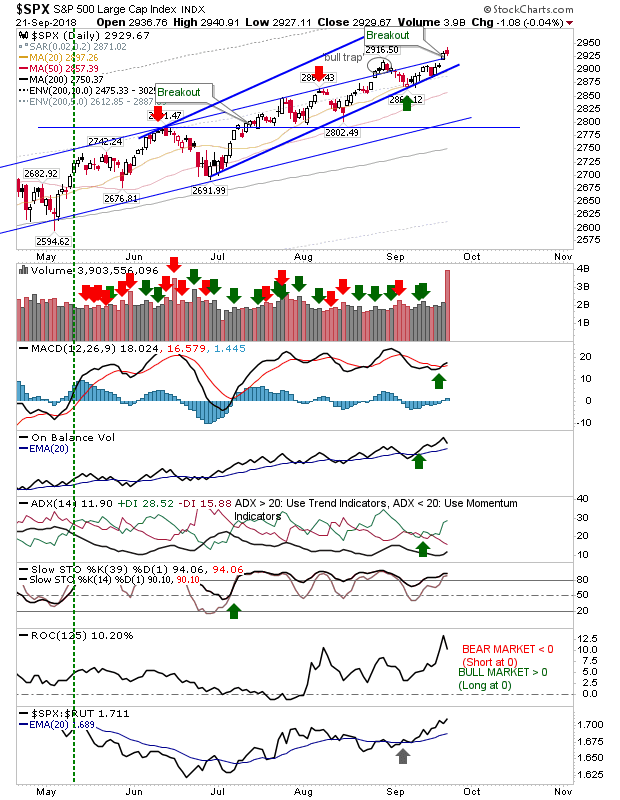 There is a potential short in the Nasdaq, although this potential has been playing since the start of September as the index has been riding channel support without pulling away from it (and I had rated it as a buy - and therefore a current hold - from the initial test of channel support). Friday was a bearish engulfing pattern which suggests Monday will be a down day. Stochastics are not overbought, so the power of this bearish engulfing pattern is less but we will see how this plays out. The S&P held its (slower channel) breakout as it looks to work the faster channel. Technicals returned net positive with last week's 'buy' trigger in the MACD but technicals are not as strong as they are for the Dow although relative performance (vs Russell 2000) remains good. The Russell 2000 is trading a tight range within the boundaries of its channel. Friday's decline was one of the larger losses on the day but because Thursday's gain was decent the relative loss to that day was minimal. Support of 1,700 remains valid with the 50-day MA also helping. 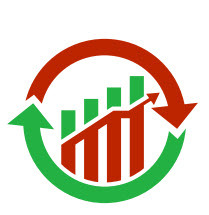 Technicals are mixed and relative performance flat but price action is key. 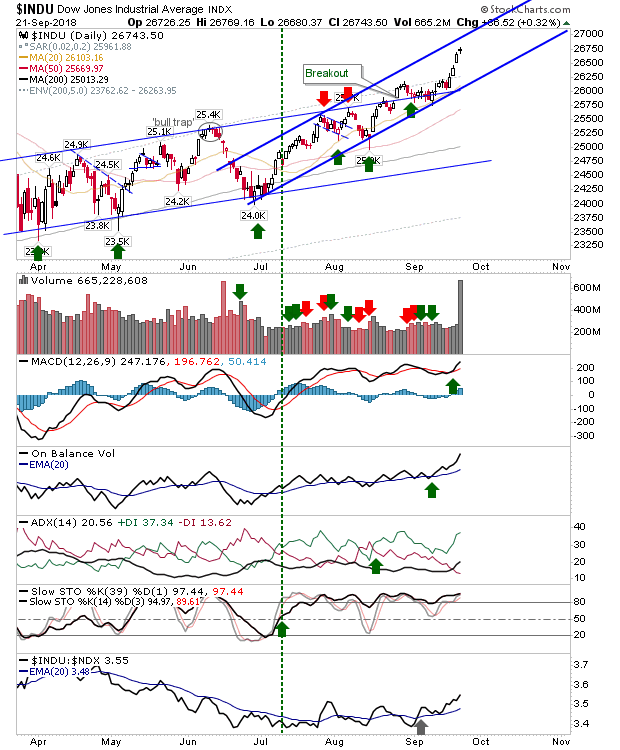 The potential play is a short in the Nasdaq but it's not jumping out of the page. Other indices are a wait-and-see.